Add to any swing seat, trapeze bar, glider swing or tire swing for hours of fun. 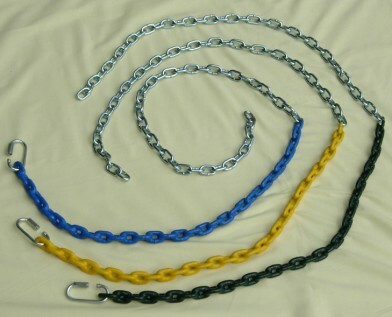 66" zinc chain with 24" of plastisol coating and quick link. Available in Green, Blue or Yellow.